Sydney AUSTRALIA, 25 August 2015: Multi Channel Network (MCN) on Tuesday announced an expansion of its MCN Multiply division to more than 60 staff, including the creation of a dedicated Multiply Integration team, as the business prepares to take on representation of Ten Network’s advertising assets from 1 September. MCN Multiply is the umbrella brand for the company’s activations, integration and production teams. The Multiply Integration unit, which focuses on integrating advertisers into the network’s premium content, will incorporate seven staff from the Ten Commercial Integration team (previously named Ten Generate). A new team dedicated to Ten assets has been created within the Multiply Integration unit and will report to the National Director of Partnerships and Content, Elizabeth Minogue. The team will be led by Lucinda Milton, who has been promoted to the new role of Head of Multiply Ten. For the past three years Ms Milton has worked across MCN’s channel groups, driving integrated premium revenue for their local productions. 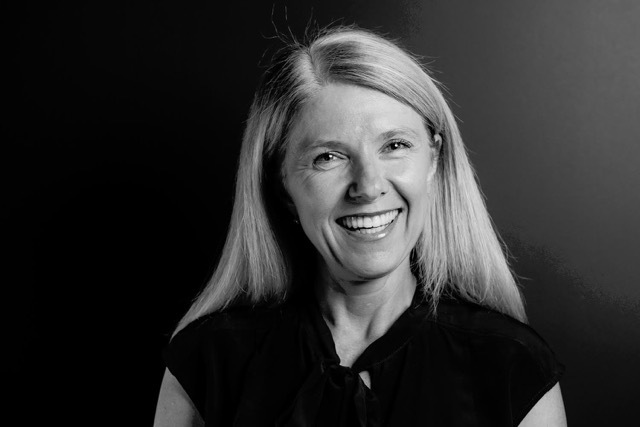 Alex O’Shaughnessy will join from Network Ten as Head of Multiply Ten Melbourne. To lead MCN’s Digital Integration unit, which includes tenplay, MCN have promoted Tori Benzie to Head of Multiply Integration Digital. Ms Benzie has been with MCN for four years and is an expert in driving innovative digital and social brand partnerships and award winning multi-screen solutions. Ms Minogue said the new staff structure will drive strategy and creativity for the new MCN/Ten media sales offering and help achieve MCN’s mission of delivering powerful cross-network solutions through one client brief. “Ten will bring a wonderful new dimension to our offering and increased integration opportunities for brands,” she said. “For the first time we can deliver integrated assets across Free-to-Air, Subscription Television and digital video with a single, unified approach, providing one access point to the world’s greatest content. The new staff structure will take effect on 1 September. The sales representation agreement between MCN and Ten Network combines MCN’s existing 68 subscription television (Foxtel) channels with Ten Network’s 15 free-to-air metro television channels. Ten Network includes free-to-air television channels TEN, ELEVEN and ONE in Australia’s five metropolitan markets of Sydney, Melbourne, Brisbane, Adelaide and Perth. Ten’s online catch-up and streaming service tenplay will complement MCN’s existing network of Telstra, Foxtel, Fox Sports and partner digital sites. About Multi Channel Network (MCN): MCN is a joint venture between Foxtel and FOX SPORTS. MCN is responsible for the advertising interests of 71 television channels brands, 123 websites, 33 m-sites, 59 apps, 3 IPTV services, 3 Digital-Out-Home TV locations and Qantas In-Flight Entertainment. In September 2015, MCN will take on representation of Ten Network’s television and digital assets. The agreement combines MCN’s existing 68 subscription television (Foxtel) channels with Ten Network’s15 free-to-air metro television channels. Ten Network includes free-to-air television channels TEN, ELEVEN and ONE in Australia’s five metropolitan markets of Sydney, Melbourne, Brisbane, Adelaide and Perth. Brisbane, 31 July 2015: Startup hub and coworking community River City Labs has today announced a trial partnership with muru-D, the global startup accelerator backed by Telstra, to deliver the inaugural ‘River City Labs Accelerator’ program. Set to kick off in September, the River City Labs Accelerator program will run over 14 weeks and offer a combination of seed capital, coworking space, mentoring, training and access to global networks, to five local technology companies. Applications to be part of the River City Labs Accelerator program are now open, with a Queensland regional roadshow running from 3-14 August. The roadshow events are designed to give local startups the opportunity to learn more about the program before they apply. muru-D is the startup accelerator backed by Telstra, which aims to support the very best tech entrepreneurial talent that the Asian Pacific region has to offer. Through providing mentoring, tailored acceleration services and investment to early stage technology companies, muru-D’s goal is to help Australia and South East Asia become a centre for digital business. Brisbane, August 11, 2015: Startup hub and coworking community, River City Labs, today revealed the names of the 20 young tech standouts selected to be part of the 2015 ‘Startup Catalyst’ mission to Silicon Valley (28 September – 7 October). Compared to the 95 entries for 2014’s inaugural mission, this year saw 131 high-quality applications lodged, with candidates hailing from across the state, from the Gold Coast to Cairns to Brisbane. Startup Catalyst is also supported by the Queensland Government’s Startup Queensland grant program. Fronted by Queensland business leader and main financial backer, Steve Baxter and Ezidebit founder Michael Dempsey, the ten-day mission will see the 20 participants visit the offices of global tech companies such as Facebook, Twitter and Apple, attend networking events with startup founders and student entrepreneurs, meet with fellow Australians who are running startups in the Valley, and take part in educational events to equip them with an understanding of what is involved in launching a globally successful tech startup. Startup Catalyst’s Joint Mission Leader, Steve Baxter, said: “A huge congratulations to all those who applied for this year’s mission, particularly the 20 chosen to come along in September. 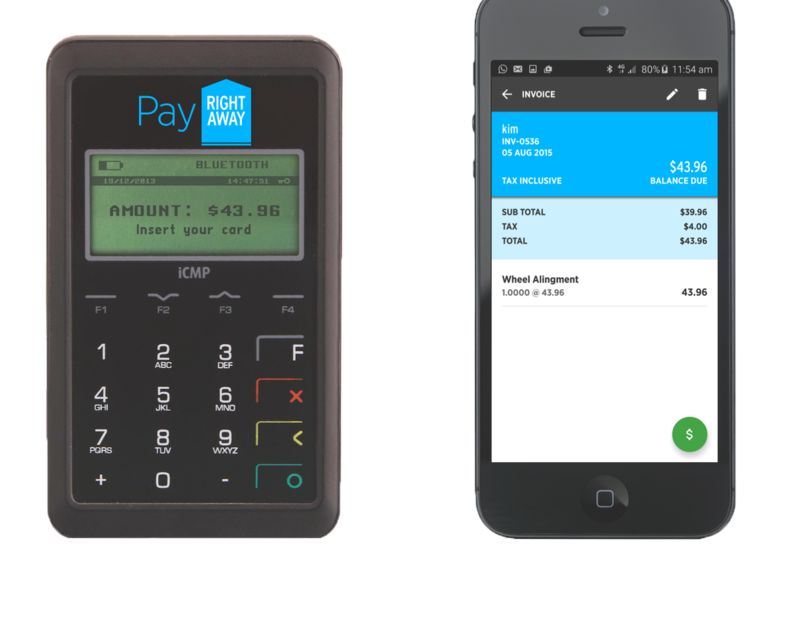 Choosing just 20 was a challenge as Project Director, Colin Kinner, and one of the tech masterminds behind the mission, Peter Laurie, were blown away with the quality of the applications. “I’m looking forward to witnessing how the experience further equips and teaches these emerging entrepreneurs. Queensland’s startup scene will certainly be better for it,” Mr Baxter said. Startup Catalyst’s Joint Mission Leader, Michael Dempsey, commented: “Startup Catalyst is a trip of a lifetime for all involved, myself included. Thanks to all the sponsors who have contributed to making the event a reality, I’m looking forward to bringing the knowledge and experience back to Brisbane. “There’s no reason Brisbane and Australia cannot be at the forefront of tech venture capital so I’m hoping this will encourage not only the 20 successful applicants but budding entrepreneurs from all over to chase their dreams. It’s all within reach, just go for it,” Mr Dempsey said. River City Labs is Brisbane’s premier co-working community and central clubhouse for tech startups. It is a not-for-profit organisation aimed at fostering Queensland’s startup ecosystem. The 2015 mission will take place over a ten-day period from 28 September to 7 October 2015 and will immerse the participants in Silicon Valley’s rich culture of high-growth entrepreneurship. The group will visit the offices of global tech companies such as Facebook, Twitter and Apple, attend networking events with startup founders and student entrepreneurs, meet with fellow Australians who are running startups in the Valley, and take part in educational events to equip them with an understanding of what is involved in launching a globally successful tech startup. Australia, August 27 2015: Adults Surviving Child Abuse (ASCA), on Thursday hosted the first Blue Knot Day Morning Tea for 2015 to encourage every-day Australians to host similar events in their community in the lead up to their national awareness day Blue Knot Day (Monday October 26 2015). ASCA is the leading national organisation working to support the estimated five million adult survivors of childhood trauma and abuse in Australia. This year’s Blue Knot Day is focussed on highlighting the instrumental role of diverse groups and communities in helping survivors to recover. That’s why ASCA hosted their own community event – to urge Australians to do the same with friends, family, work colleagues and their own communities. Recent research from ASCA’s 1300 professional support line showed the severe impact of childhood trauma and abuse on not only survivors but also those close to them. From 4,000 callers to the 1300 line in the prior year, 50 per cent of survivors reported that their relationships with their immediate families were affected, 35 per cent reported impacts on their relationships with their partners and 18 per cent on parenting. Earlier this year ASCA released a ground-breaking report which showed that as a nation, Australia could save a minimum of $9.1 billion annually by addressing the impacts of unresolved childhood trauma and abuse in adults. The report presented the annual cost per those affected for four of the major challenges faced by adult survivors of childhood trauma: alcohol abuse, mental health issues, obesity and suicide/attempted suicide. President of ASCA, Dr Cathy Kezelman AM, said the importance of the community in the recovery of the one in four adults living with the effects of childhood trauma and abuse in Australia couldn’t be underestimated. “Our research details the immense impact of all forms of childhood trauma across the community, not only survivors themselves. This stresses the importance of Blue Knot Day, for survivors in the first instance but also for Australia as a whole. “Our Blue Knot Day Morning Tea demonstrates the role of the community and of ASCA uniting towns and cities across Australia to make them safer and more supportive. From our research we know that recovery is possible; we want to provide everyone the opportunity to contribute. That’s why we have created plenty of other ways for people within the community to get involved,” Dr Kezelman said. · Donate and turn your dollars blue. Your donation will help! All public Blue Knot Day events will be registered online so people across Australia who want to attend an event can either access information about one or choose to host their own if no event is listed in their area. To register an event or activity, and/or to fundraise fill out the application form online or contact ASCA via email on events@asca.org.au. All funds raised will support the primary prevention work of ASCA through workshops for survivors, 1300 counselling support and specialist training for professionals and services. Help and support is available from the ASCA professional support line on 1300 657 380, 9am-5pm Monday-Sunday. 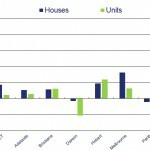 Australia, 3 August 2015: New research released today by Onthehouse.com.au revealed that Sydney’s housing market has documented a record high annual growth rate for the current housing boom, growing 20.36 per cent in the 12-month period to June 2015. This is the median rate of growth for all houses in the Sydney region, which stretches all the way from the Eastern Suburbs to the suburbs just before the Blue Mountains. However, while growth in Sydney as a whole continues to excel, there are suburbs across the region that are outperforming the city’s median. In stark contrast, Perth recorded the worst performance across all Australian housing markets during the same annual period, falling by -1.05 per cent. However, the state’s unit market recorded a growth rate of 0.16 per cent, making it one of four areas where unit market annual growth rates exceeded their respective housing markets. 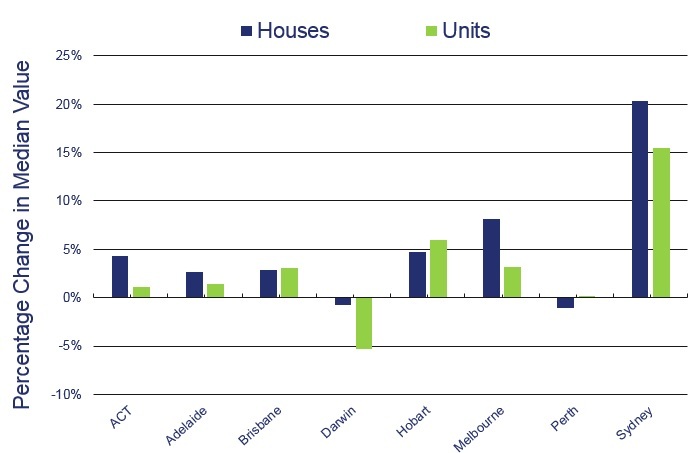 Brisbane, Hobart and TAS Country made up the three other regions that recorded a stronger annual performance in their unit markets than their housing markets, documenting unit growth rates of 3.10 per cent, 5.93 per cent and 3.48 per cent, respectively. Darwin suffered the worst contraction in the unit market for the year, falling by -5.31 per cent. An Australia wide aggregation of the property market displayed strong annual growth overall, with 6.28 per cent for houses and 6.06 per cent for units, however, it is clear from the data that the Sydney market is the clear driver, with the current median house price of $993,500 falling just shy of the $1 million benchmark. Market Analyst at Onthehouse.com.au, Eliza Owen, said: “Australia’s resource markets – Perth and Darwin – have both suffered a contraction in growth as the decline in volumes and values of iron ore are taking their toll. The impact of iron ore exports on these property markets is clear from available trading data, and unless the resource businesses based in Perth and the Northern Territory can sustain low prices for exports, I doubt there will be an improvement in these markets over the next few months. “Unlike the resource states, it is harder to identify the source of change in the Sydney and Melbourne markets. There are plenty of anecdotal reports claiming that foreign investment and baby boomer investors are driving up values – and while these factors may or may not be the cause of the current boom – there is currently no data available to prove this is the case,” continued Ms. Owen. www.Onthehouse.com.au is Australia’s most transparent and comprehensive real estate portal, empowering consumers to make informed property decisions by providing them with free access to information. Over 1.8 million unique visitors search for listings and view in-depth property data a month, making it Australia’s third most popular real estate platform. Onthehouse.com.au is the flagship consumer offering of Onthehouse Holdings (ASX:OTH), the 360-degree property market services group that provides comprehensive real estate agency solutions, information and analytics services. Onthehouse Holdings businesses together help over half of Australia’s real estate agencies, as well as being used by financial institutions and other property-related professionals. 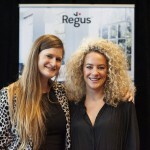 Melbourne, 4 August 2015: This year’s My Kitchen Rules (MKR) star and current Dancing With the Stars contestant, Ash Pollard, will be instilling healthy workplace eating habits into Melburnian professionals at Regus’ inaugural Workplace Wellness event on Wednesday, August 5. Hosted by Regus, the flexible workplace provider, reality star Pollard will demonstrate a variety of quick healthy lunch fixes using grab-and-go ingredients. Guests of Regus will have the opportunity to watch, learn and then taste the prepared dishes during their lunch break. Recent Regus research revealed that unhealthy eating habits and a lack of exercise are the leading causes of workplace stress for Melburnians, with 19 per cent of local respondents placing these factors above understaffing (17 per cent) and technology issues (16 per cent). The survey revealed that, as a whole, Melburnian respondents are more than twice as stressed compared to five years ago (53 per cent) – a significant and concerning jump. 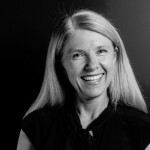 Market Director of Victoria, South Australia and Western Australia, Georgia Mitchell, said: “We are continuing to see overwhelming evidence that stress levels are mounting due to a combination of factors including poor dietary regimes and not having adequate time to exercise and recalibrate. “We’re thrilled to invite our Regus customers to spend their lunch break with Ash, where we’re sure her tips and tricks will help our guests adopt healthy workplace eating habits, and also show how this can have a significant impact on workplace health and happiness,” said Mitchell. Pollard hopes to spread the message of healthy eating in the workplace and highlight the long-term benefits it can have on people’s overall health and wellbeing. “You must give your body the respect it deserves, after all, it’s going to carry you a long way in life. Fuel it with all the ingredients it needs to survive those long days at work by eating smart, healthy choices that will help elevate your mood, self-esteem and energy, which in turn will reduce anxiety and stress,” Pollard said. Its network of more than 2,000 business centres in 104 countries provides convenient, high-quality, fully serviced spaces for people to work, whether for a few minutes or a few years. Companies like Google, Toshiba and GlaxoSmithKline choose Regus so that they can work flexibly and make their businesses more successful. 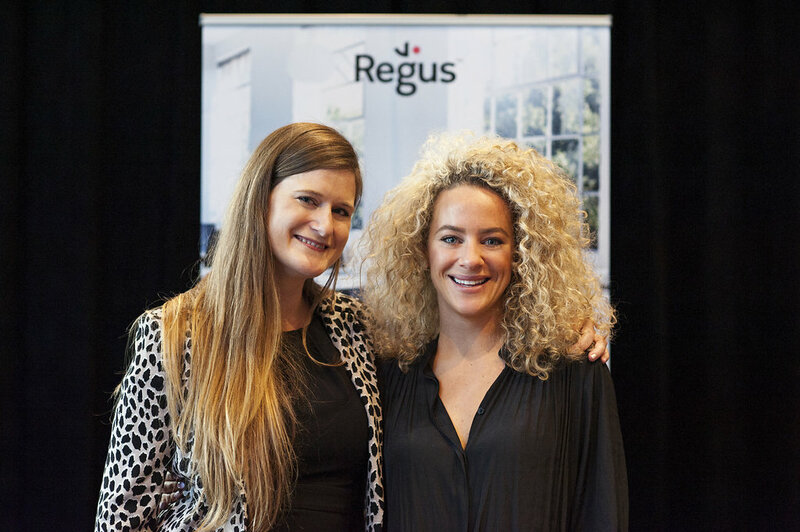 The key to flexible working is convenience and so Regus is opening wherever its 1.8 million members want support – city centres, suburban districts, shopping centres and retail outlets, railway stations, motorway service stations and even community centres. The Australian Computer Society (ACS) urges the political parties to make digital economy issues an important part of the debate and discussion in the current election campaign. We live in a digital world where information and communications technology (ICT) sits at the heart of most of the products and services we now consume, and digital technologies are critical drivers of productivity growth, innovation, and higher standards of living. Successful economies therefore need Governments that place a high priority on developing and sustaining a digital eco-system that ensures an adequate supply of ICT skills, a digitally-literate workforce, and ongoing collaboration between academia, industry, government and the community. For Queensland, a focus on digital economy issues is critical. With the economy undergoing significant change, particularly as the resources sector moves from the construction phase to the production phase, we need to create new industries, new competitive advantage, and new opportunities for employment and growth. Digital technologies provide the essential foundation stone on which this growth will be delivered. ACS urges the next Queensland Government to have as its goal to make Queensland the leading digital economy in our nation. To achieve this, the ACS recommends a focus on four key issues. To help build a world-leading digital economy, ACS calls on the incoming Queensland Government to establish a dedicated Digital Economy Ministry headed by a Cabinet Minister. Further, to assist that Minister in this role, the Government should establish a Digital Ministerial Advisory Council. The Council would provide the Minister with access to the relevant expertise, experience and insights from those in industry, academia, the education and training sector and the community sector. · workforce development planning with a particular focus on researching the ICT skills and qualifications Queensland is likely to need in the next 5-10 years given the “disruption” being created by rapidly-advancing technologies. · assisting key Queensland industries to become more competitive in a digital economy. Membership of the Council should include representatives from the ICT industry, the ACS, broader employer representative groups, the education sector and relevant community groups. The help ensure Queensland has an adequate supply of the skilled ICT professionals, an incoming Government needs to ensure there is a stronger emphasis on learning and using digital technologies in the education system. · establishing a process for Government, industry, employer and education stakeholders to work more collaboratively to help ensure ICT students (tertiary and VET) have greater exposure to work-integrated learning opportunities (eg internships). The objective is to make graduates more work-ready by ensuring they possess the important ‘soft skills’ like project management, problem solving, stakeholder management, and strategic and creative thinking. Queensland has approximately 410,000 small businesses, representing over 96% of businesses State-wide, and employing approximately 50% of all private sector workers. Given SMEs represent the vast majority of businesses in the economy, driving higher growth requires Governments to create an environment where these businesses can thrive. In today’s world that means they must have certain minimum levels of digital competence and literacy. 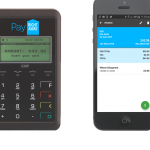 However the findings of a PayPal Research project in 2013 on small business digital literacy indicates 3 in 5 SMEs claim low levels of digital literacy are preventing them from running their business more efficiently, and 4 in 5 suggest there should be more help and guidance to assist them embrace the digital economy. To address this issue, the ACS recommends an incoming Queensland Government move beyond the usual education and awareness type campaigns Governments have typically pursued. ACS instead suggests a more “hands on” program which firstly works with individual businesses to benchmark their digital literacy and identify their specific areas of weakness and then, based on the benchmarking results, help broker relationships between the businesses and relevant “best in breed” ICT suppliers and ICT professionals. · promoting a higher concentration of the creative industries, supported by strong knowledge and social networks and voluntary organisations in a low-crime setting. The Australian Computer Society (ACS) is Australia’s peak body for ICT professionals with around 22,000 members nationally. A core function of the ACS is the assessment and accreditation of its members as Certified Technologists or Certified Professionals. ACS also conducts research-based advocacy on behalf of members on public policy issues. For more information about the ACS, please see www.acs.org.au.